Your gift ensures that the Foundation can continue its work by underwriting our operating expenses. You can choose to support our broad grantmaking program, or designate your gift to a specific cause, or make a gift to your donor-advised fund. To see a complete list of funds, please click here. Your gift supports the Williamsburg-James City County Scholarship Fund that provides scholarships for students graduating from Jamestown, Lafayette, and Warhill High Schools. Your gift provides financial support to the most pressing needs in the greater Williamsburg area with a primary focus on young people. Set up a giving plan that works for your needs and allows you to support the causes you care about most. If you prefer, we can help you set up an electronic transfer from your bank account. Please contact us for more information, or give us a call at 757-259-1660. You may also mail your gift to 1323 Jamestown Rd., Suite 103, Williamsburg, VA 23185. 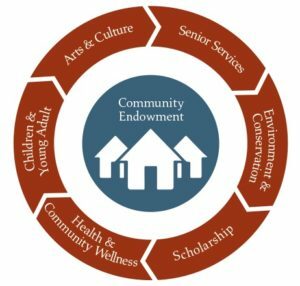 Your combined gift to the Annual Fund, Endowment or Scholarship in any of the levels below entitles you to membership in the Chairman’s Circle.